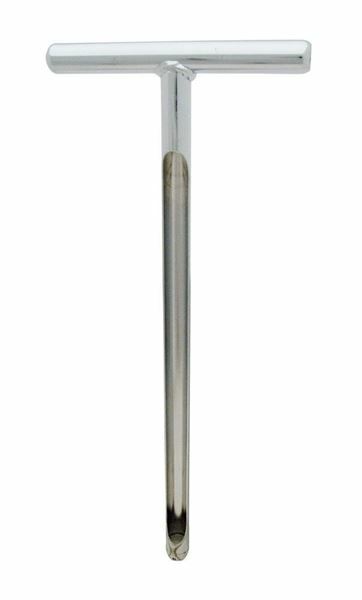 Soil Samplers (Soil Sample Probes) - Gilson Co.
One-Piece Soil Samplers are durable, open-tube design with T-handle and replaceable hardened tips. The tube is marked to indicate a sampling depth of 6in. Made of high-grade nickel plated steel. SP-138 Soil Sampler is 19in (483mm) long, takes 15 x 0.75in (381 x 19mm) core sample. SP-140 Soil Sampler is 36in (914mm) long, takes 9 x 0.75in (229 x 19mm) core sample, and has a built-in footstep to assist with insertion into the soil. SP-138: 19 x 0.938in (483 x 23.8mm) L x Dia. SP-140: 36i x 0.938in (914 x 23.8mm) L x Dia.